PROSPECT HEIGHTS"...TOWN OF SHAWANGUNK, Pine Bush schools close to Gardiner and New Paltz abundant in history, natural beauty. This area is one of most beautiful parts of country with its scenic mountains and farmland. Just 90 minutes to Manhattan. 2200` sq ft. Raised Ranch stick frame construction TO BE BUILT offers many great amenities and built by established builder. 9 ft. high ceilings on 1st floor. 4 beds 3 full baths. Master bedroom, walk-in closet and master bathroom with tiled shower. Spacious family room, Ea-in kitchen with island and granite counter tops, ceramic tile, h/w floors, central air. Open floor plan dining room and living room, deck overlooking the backyard on 1.57 acres lot. 2 car garage. Concrete walkway. 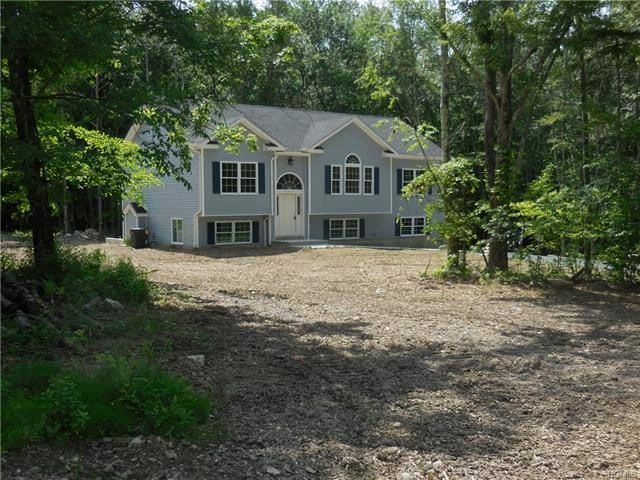 Private setting with mature trees no thru traffic subdivision, total of 14 homes near Hamlet of Pine Bush.Short drive to services & amenities. On any available lot can be built a Colonial (2380` to 3000` sq ft.)or Raised Ranch,(2200` to 2400` sq ft.).